It is entirely handmade from 5mm wire and comes in various sizes. 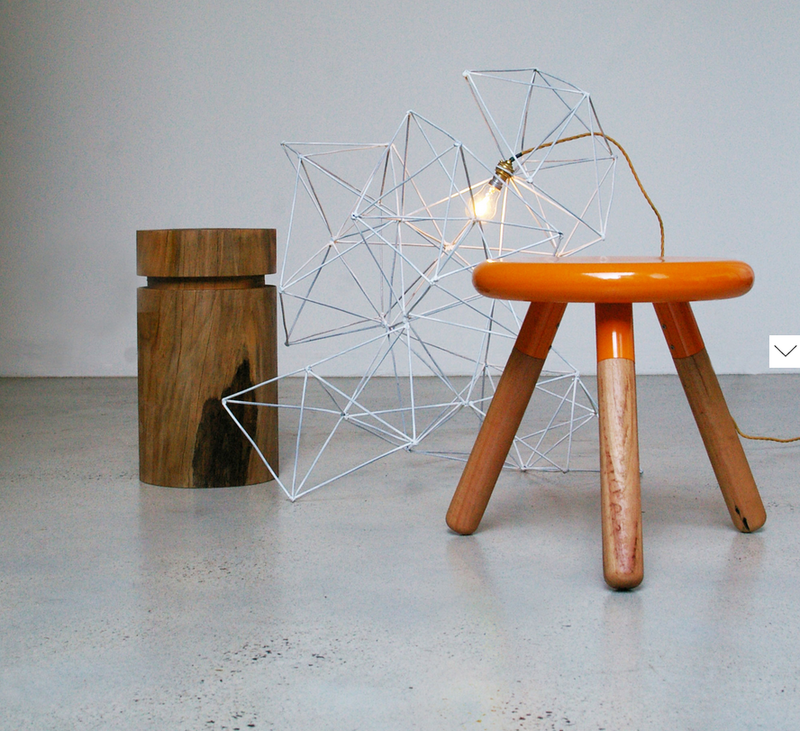 The geometric light is available in Dulux powder coat finish. 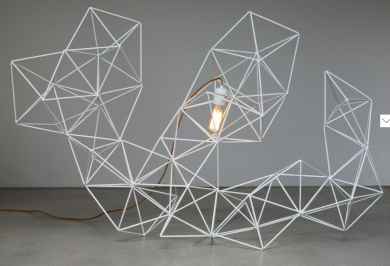 The Geometric wire light is an exploration into the dimensions of massed geometric shapes, in this case the tetrahedron. 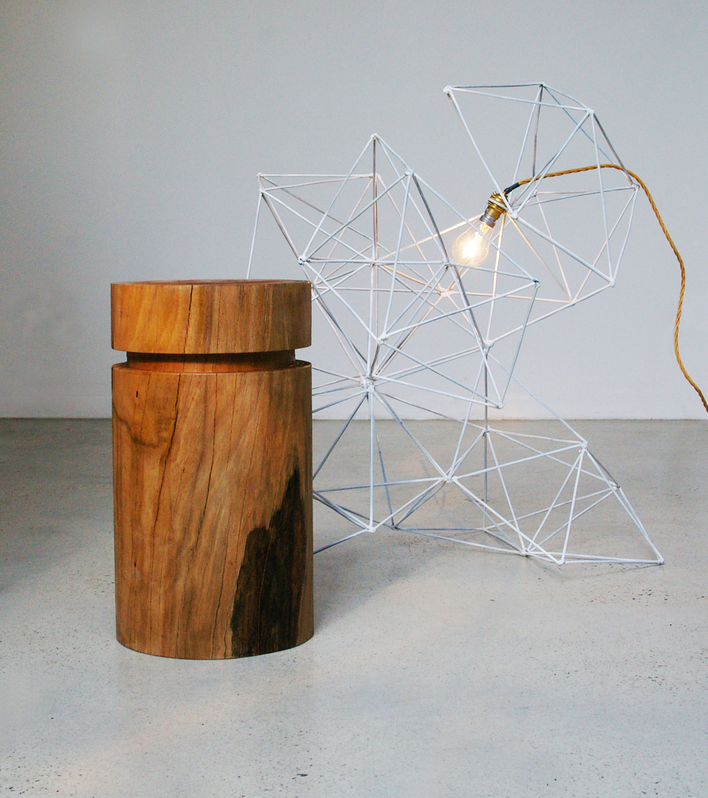 The geometric light highlights the balance between a hard edged steel structure stand the small fragile globe housed safely within.